Netty's is committed to protecting your privacy. This Netty's Privacy Statement applies to data collection and usage on Netty's website and services; it does not apply to other online or offline Netty's sites, products or services. Please read the Netty's Privacy Statement below and also any supplementary information at the end of this statement for additional details about particular Netty's sites and services that you may use. Netty's is a general audience web site, intended for users of all ages. Personal information of all users is collected, used and disclosed as described in this Privacy Statement. Netty's collects personal information, such as your e-mail address, name, home address, or telephone number for all users purchasing advertisements and opting into email marketing supplied by Netty's. All of the registration information you provide will be stored by Netty's. Netty's cautions you against providing personal information to strangers online, which they may use for illegal or harmful purposes. Netty's keeps track of the pages our customers visit within Netty's, in order to determine what Netty's sites and services are the most popular. Netty's also collects certain information about your computer hardware and software. This information may include: your IP address, browser type, domain names, access times and referring Web site addresses. 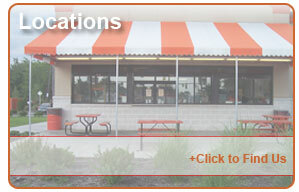 Certain Appeal Design services may be co-branded and offered in conjunction with another company. If you register for or use such services, both Netty's and the other company may receive information collected in conjunction with the co-branded services. Netty's and its operational service partners collect and use your personal information to operate Netty's and deliver the services you have requested. These services may include the display of customized content and advertising based upon the information Netty's has collected. Netty's does not use or disclose sensitive personal information, without your explicit consent. Netty's also uses your personal information to inform you of other products or services available from Netty's and its affiliates. Netty's may also contact you via surveys to conduct research about your opinion of current services or of potential new services that may be offered. Netty's does not sell, rent or lease its customer lists to third parties. Netty's may, from time to time, contact you on behalf of external business partners about a particular offering that may be of interest to you. In those cases, your personal information (e-mail, name, address, telephone number) is not transferred to the third party. We occasionally hire other companies to provide limited services on our behalf, such as handling the processing and delivery of mailings, providing customer support, processing transactions, or performing statistical analysis of our services. We will only provide those companies the personal information they need to deliver the service. They are required to maintain the confidentiality of your information and are prohibited from using that information for any other purpose. (c) act under exigent circumstances to protect the personal safety of users of Netty's services or members of the public. Personal information collected on this site may be stored and processed in the United States or any other country in which Netty's or its affiliates, subsidiaries or agents maintain facilities, and by using this site, you consent to any such transfer of information outside of your country. Netty's abides by the safe harbor framework as set forth by the U.S. Department of Commerce regarding the collection, use, and retention of data from the European Union. There are some Netty's services and updates, that send out periodic e-mails informing you of technical service issues, product surveys, new feature announcements and news about Netty's products and services. You will not be able to unsubscribe to these mailings, as they are considered a part of the service you have chosen. Netty's is committed to protecting the security of your personal information. We use a variety of security technologies and procedures to help protect your personal information from unauthorized access, use, or disclosure. For example, we store the personal information you provide on computer systems with limited access, which are located in controlled facilities. When we transmit highly confidential information (such as a credit card number) over the Internet, we protect it through the use of 128-bit encryption, such as the Secure Socket Layer (SSL) protocol. 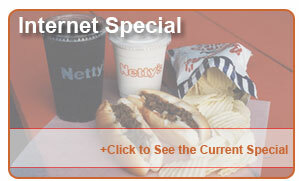 Netty's uses "cookies" to help you personalize your online experience. A cookie is a text file that is placed on your hard disk by a Web page server. Cookies cannot be used to run programs or deliver viruses to your computer. Cookies are uniquely assigned to you, and can only be read by a web server in the domain that issued the cookie to you. One of the primary purposes of cookies is to provide a convenience feature to save you time. For example, if you personalize Netty's's pages, or register with Netty's sites or services, a cookie helps Netty's to recall your specific information on subsequent visits. This simplifies the process of recording your personal information, such as billing addresses, preferred email address, and so on. When you return to Netty's, the information you previously provided can be retrieved, so you can easily use the Netty's features that you customized. You have the ability to accept or decline cookies. Most Web browsers automatically accept cookies, but you can usually modify your browser setting to decline cookies if you prefer. If you choose to decline cookies, you may not be able to fully experience the interactive features of the Netty's services or Web sites you visit. Netty's Web pages may contain electronic images known as Web beacons - sometimes called single-pixel gifs - that allow Netty's to count users who have visited those pages and to deliver co-branded services. Netty's may include web beacons in promotional e-mail messages or Netty's Newsletters in order to count how many messages have been opened and acted upon. Web beacons collect only a limited set of information including a cookie number, time and date of a page view, and a description of the page on which the Web beacon resides. Netty's Web pages may also contain Web beacons placed there by third parties in order to compile aggregated statistics and to help determine the effectiveness of our joint promotional or advertising campaigns. Netty's prohibits web beacons from being used to access your personal information. Netty's will occasionally update this Privacy Statement to reflect company and customer feedback. When Netty's posts changes to this Statement, you will see the word "updated" next to the Privacy Statement link on the front page of Netty's. If there are material changes to this Statement or in how Netty's will use your personal information, Netty's will prominently post such changes prior to implementing the change. Netty's encourages you to periodically review this Statement to be informed of how Netty's is protecting your information. Netty's welcomes your comments regarding this Privacy Statement. If you believe that Netty's has not adhered to this Statement, please contact Netty's by telephone, e-mail, or postal mail. Copyright 2010 Netty's Corporation. All rights reserved.